A titan of his generation, Nitsch is historically renowned for his association with the Vienna Actionists (Vienna Action Movement) in which he co-founded in the 1960s. However, in recent times, he is better known for his time-based performances – with paint – in his Orgien Mysterien Theatre (which roughly translates as Theatre of Orgies and Mysteries). The group is no stranger to controversies and work with unorthodox materials such as animal carcasses, entrails and blood, and performed in a ritualistic manner, often provoking mainstream sensibilities. At that point of time, Nitsch’s concept of applying organic materials onto linen and canvas was considered an important breakthrough for European art and is now part of art historical canon. In addition, Nitsch’s legacy is actively supported by the Nitsch Foundation in Vienna, Austria. 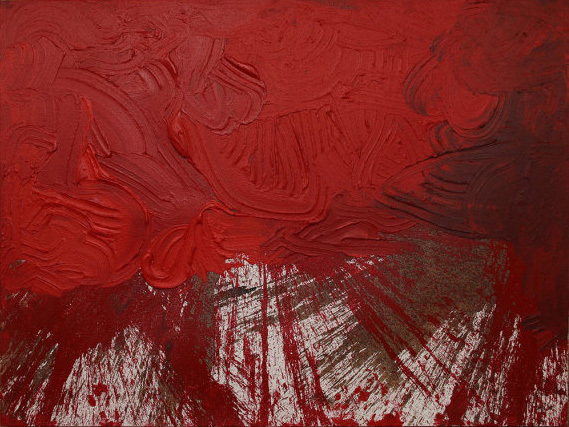 An admirer of American abstract expressionism, Nitsch had also looked towards the East at the burgeoning Japanese movement of the Gutai group in the mid-1950s. Similarly to the Gutai movement, Nitsch’s entry into painting rejected traditional art styles in favour of performative immediacy. In this exhibition, viewers are introduced stunningly to this manner of painting in which Nitsch calls them ‘Schuttbilder’ or painting action. These paintings were created spontaneously – accompanied with music, dancing and active participants – in which resulted in highly gestural and visceral paintings. In several works, the artist hand is visible via his direct application of paint on canvas, vividly displaying the intimacy between artist and medium. The show will feature seminal works from the 1990s in addition to recent paintings. This exhibition is supported by the Nitsch Foundation. The opening reception will be held on 28 February (Thursday), 6.30 pm – 9.00 pm.